Ameriwood is recalling its Mainstays chest of drawers due to tip-over and entrapment hazards. 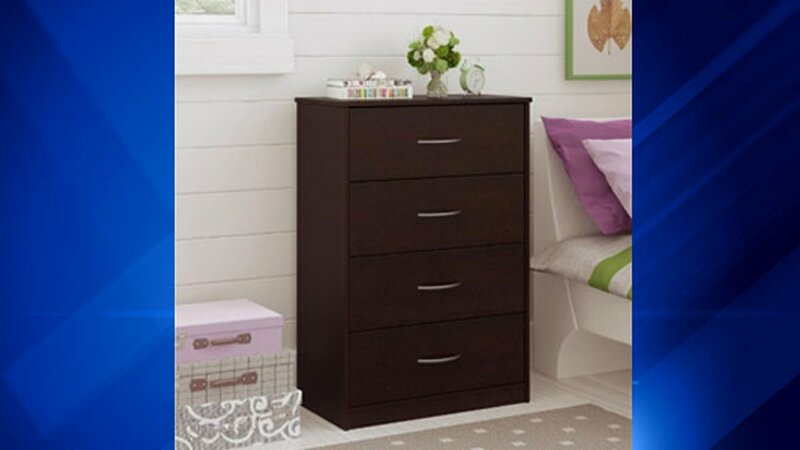 The company said the recalled chests of drawers are unstable if they are not anchored to the wall, posting serious tipping and entrapment hazards that could result in death or injury to children. The company said the furniture does not comply with the performance requirements of the voluntary industry standard.